Pauline Barratt Aquatics is a privately owned swim school affiliated with the Canadian Red Cross and Lifesaving Society. We offer a wide variety of programs and classes for people of all ages and abilities. PB Aquatics has been successfully providing instruction in swimming, water safety, and fitness for 25 years in the Orillia area from our location at 18 Peter Street, North. The Aquatic Educators at Pauline Barratt Aquatics are a unique and dynamic group of individuals who share a love of teaching and a love of swimming. Learn to swim in our indoor salt-water pool and experience our small class sizes (only four to five students per group) that gives you an individualized and personal swimming experience. We also offer private and semi-private lessons. 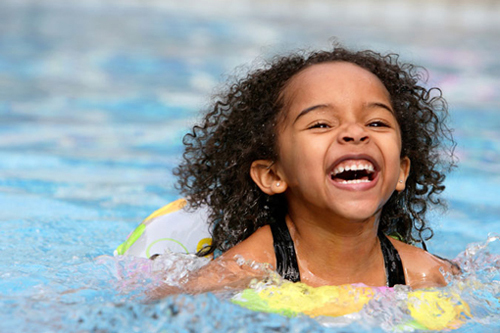 We offer everything from swimming lessons to camps to aqua fitness and hydrotherapy. At Pauline Barratt Aquatics, there is something for everyone! Give us a call at 705-325-3965 and find out how you can get an program tailored to your specific needs.